Promises of enormous gains, not little. Well, its certainly got an odour of ophidian short-chain lipids about it. Typical clear sky daylight is an order of magnitude less irradiance than direct sunlight. Overcast sky daylight is usually at least another order of magnitude down on that. 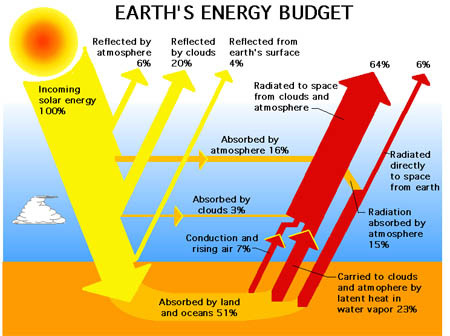 Therefore at best, the energy density for worthwhile output without direct sunlight just isn't there unless the panels have a total installed cost per unit area of less than a tenth of that of conventional photovoltaic or solar thermal panels. To be a game-changer they'd need to be a hundred times cheaper. The blue sky excluding the sun is low irradiance, in the order of 5% of full sunlight. Overcast sky is typically much more, 7-20% of direct sunlight. They had me at nanotechnology. Without really explaining any technicals it does sound like some BS to me that will never see the light of day. One of those things that's only there to wow investors. People keep trying to reinvent solar. I think all that effort should go towards more efficient PV modules and simpler/cheaper manufacturing processes. That is already happening to some degree. There's no doubt that the word "nanotechnology" has been abused to the point of de-legitimizing real nanoscience.